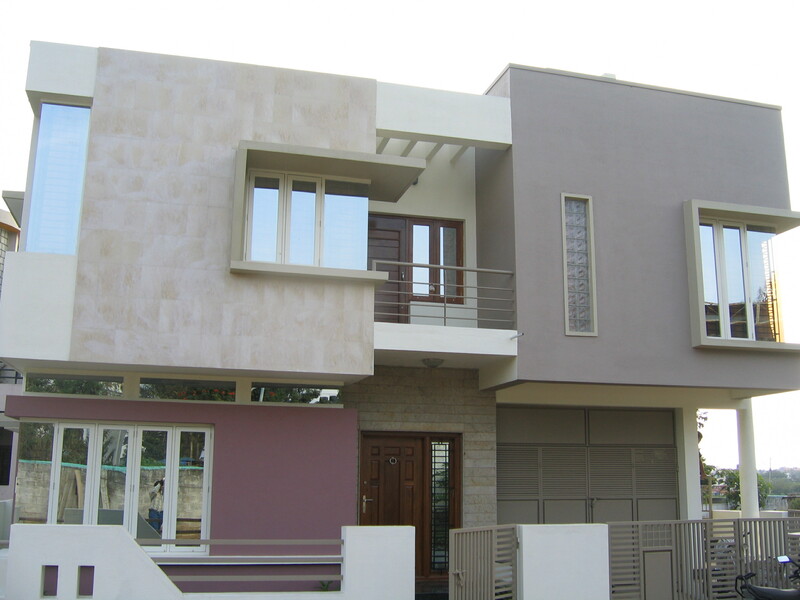 The Exteriors: A ‘Box’ effect on the front is emphasized by using dark shades of colour and stone finish cladding. Windows & ventilators are arranged to cast ample daylight in the hall and dining areas. Glass covered corners of windows allow extra light to the inner areas as compared to shadows cast by walled edges. Pergolas above the balcony cast a shadow keeping ample light and air in the area. A green patch planned outside within the boundary gives a lush and pleasing look to the surroundings. Shades of granite are extensively used for floorings and entrance steps. The Interiors: Stairs to the upper floor is fabricated by MS sections, steps grouted in the wall and handrails are topped with wood. Open spaces of the railings are covered with glass panels in place of grilled fillings. Night lighting by pendant lights hanging from the ceiling illuminate the dining and stairs area. View More Images of this project. 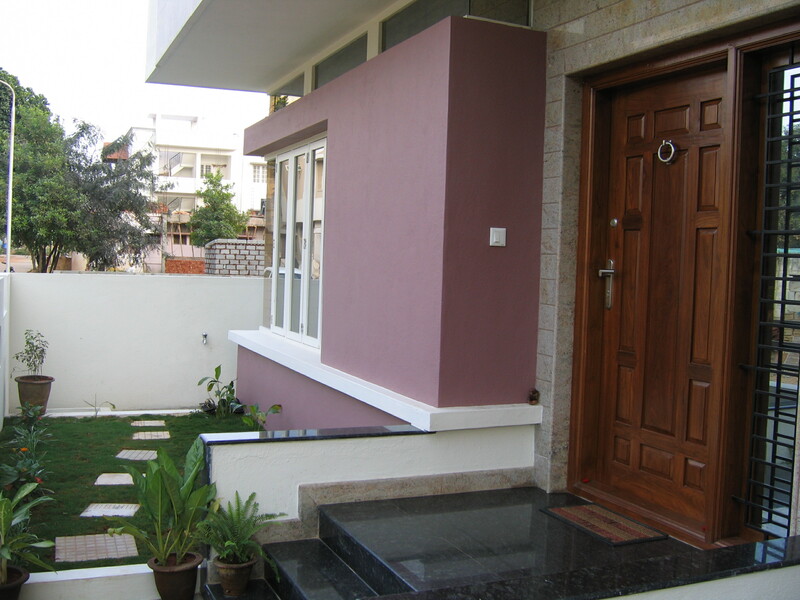 Origin Projects is the Succession of years of Design and Construction Services in and around Bangalore. Origin addresses the issues faced by property owners in having their buildings designed and constructed to not only satisfy their needs, but also they being aesthetically pleasing. Usually different agencies are involved in this process. Construction work is perceived to be full of hassles and Unpredictable. Origin Projects brings in combination of years of contemporary design practice and decades of committed construction experience together to realize quality, hassle free and aspiring buildings. The provision of both Design and Construction Services through a single point of contact provides various advantages to the customers. Origin derives its Inspiration and Values through the efforts of Mr R Govinda Raju, who was a Popular and Reputed person in the field of Building Construction and Social causes. His Sons G Rama Raju B. Arch and G Shashidhara Raju B.E started Origin in 2004. They both have extensive practical field experience since childhood apart from having Professional Qualification. Today, Origin Projects intends to be a pioneer and a house old name in the Design and Construction Industry through “Design – Build” Concept. Open Kitchen, a need for family space. . .